Watch the ninth episode above to see who’ll make it to the top, and don’t forget to check out next week’s GeekWire Summit where eight of our winners will compete live on stage to see who really comes out on top. This week’s presenters are: Alexa Anthony, a former equestrian athlete whose new startup, Magic AI, is using machine learning and artificial intelligence to track the health and well being of horses; Slava Agafonov, the CEO of Energsoft, a six-month-old startup that’s bringing predictive data analytics to the multi-billion dollar battery industry; and Ed Wingate, the co-founder of Mosaic Track, a startup that’s using machine learning and AI to help job seekers find the best careers. The Advisory Board will be tasked with answering a hot topic question each month - their responses will then be summarized and posted on the blog! Be sure to follow along and submit any topics or questions you may have - we are all on this tech ride together! SEATTLE, Nov. 7, 2018 /PRNewswire/ -- StableGuard and Thunderbird Show Park (tbird) are thrilled to announce the expansion of the StableGuard monitoring system in tbird's FEI stabling areas located in Langley, British Columbia, Canada. The initial installation of the StableGuard system began in the spring of 2018 allowing exhibitors to get the StableGuard app with access to live stream video of their horses in the West FEI stabling area. 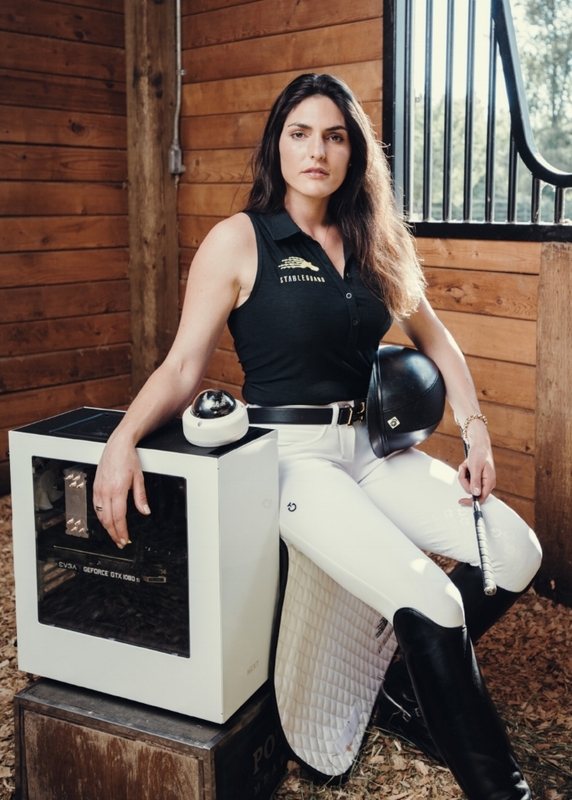 The use of artificial intelligence as a lifesaver may sound like something out of a science fiction movie, but former South Carolina equestrian student-athlete Alexa Anthony has made it a reality. Anthony is the CEO of Magic AI Corporation which has developed StableGuard as a product to save horses from preventable deaths or being stolen. Horse monitoring might not be the first application of computer vision-based machine learning that comes to mind. But investors like what they see with Magic AI. The Seattle startup has reeled in a $1.2 million seed round to expand StableGuard, its 24-hour monitoring and alert system for horses. Who's watching your horse at night at the horse show? We all know the stress and excitement that comes from attending a horse show. For both rider and horse. The StableGuard team wants to know if you would feel better at night if you could remotely monitor your horses at the show facility. Please take a minute and fill out the brief survey. Take our 10 second survey to get StableGuard at your favorite shows!